At this moment he pre – empted the next query betrayed by my involuntarily flashed, quizzical glance. “Yes, I did say dreaming. Dreams you know are the spring of my ambition, yes I continue to have things which I want to achieve. And dreams have been the source of my aspiration and the font of all of my inspiration. They are everything to me, they are my very life blood. Know you not that dies he slowly who does not dream? That is just a small sample of what is inside of this powerful book of Tom’s … as we all know him as. While reading this book, you will feel as if the very core of whom you could be … has been captured and then laid out before your very eyes. The book covers a well detailed account of how the author created his fortune. 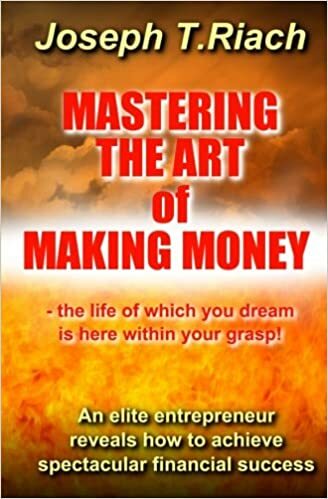 Full of motivation and inspiration, Tom shows us that by examining and changing the way we view success, we can open doors to many of the possibilities one needs to make their dreams of having wealth come true. This is a must read for those intent on making 2017 the year that it happened for them. Get the paperback book or the kindle edition on his Amazon site.